Nursing Assistants use basic nursing skills to provide direct care and assist residents with the activities of daily living under the direction of a licensed nurse or physician. As a nursing assistant, you will perform basic tasks related to the patient’s care, report your observations related to the patient’s physical or mental health, follow the care plan and work closely with other healthcare professionals in the provision of care, assist with medical procedures, setup and clean medical equipment, and prep patients for medical exams. Nursing assistants will also feed, bathe, and dress patients, position patients, move patients from the bed to the wheelchair, make beds and tidy rooms, be a companion to patients. 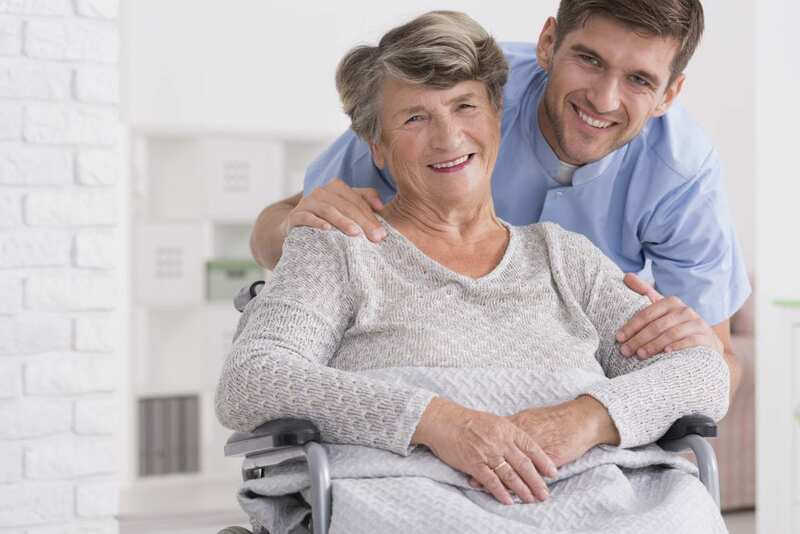 CNAs employed in nursing homes are the primary caregivers and often have closer contact with patients that other healthcare professionals. Nursing assistant programs will cover the vital areas that you need to become an integral part of the healthcare team. Since 2008, the Arizona State Board of Nursing determined that candidates for certification must provide evidence of citizenship or nationality. An applicant will not be eligible for nursing assistant certification if the applicant has any felony convictions that have been cleared. The Nursing Assistant Certificate program at Brookline College prepares students for state certification. The curriculum covers 146 hours of classroom and clinical instruction in seven weeks. The training exceeds the requirements for nursing assistant programs as identified by the Arizona State Board of Nursing. Graduates have the knowledge and skills to secure an entry-level position as competent and safe nursing assistant in the field of health. They are eligible to sit the Arizona State Board of Nursing certification exam for nursing assistants. The program includes a classroom, laboratory, and clinical component. The classroom sessions comprise of 77 hours, the laboratory component covers 29 hours, and the clinical experience is 40 hours. Course topics include medical terminology, anatomy and physiology, infection control, vital signs, range of motion, personal care, nutrition and feeding, patient transfers, the role of the nurse aide, safety and emergency procedures, laws and ethics, and hospice care. The supervised clinical experience will take place in a long-term care facility and will give students the opportunity to care for patients under the direction of a licensed nurse. Tuition for the program is $995. Valley Vocational Academy prepares nursing assistant to provide basic care for patients in hospitals and long-term care facilities. The school provides personalized instruction to help students qualify for state certification. The course may be completed in four weeks full-time or nine weeks part-time. For the day program, students meet Monday through Friday from 8:00 am to 3:00 am for the first three weeks in the classroom and Monday through Thursday from 6:00 am to 4:30 pm at the clinical site. For the evening schedule, students meet Tuesdays and Thursdays from 5:00 pm to 10:30 pm for eight weeks and Monday through Thursday from 6:00 am to 4:30 pm during the ninth week. A weekend schedule is also available. Areas of study include communication and interpersonal skills, safety and emergency procedures, basic nursing skills, respecting resident rights, resident independence, infection control, mental health and social service, care for cognitively impaired, basic restorative services, and end of life care. During the clinical experience, students will have the opportunity to position and turn patients, check vital signs, and use assistive devices in transferring patients. Tuition for the program is $975 and includes textbook, workbook, stethoscope, uniform top, gait belt, blood pressure cuff, and TB test by blood serum. A flexible payment plan is available. Students must budget for CPR certification, medical exam, uniform pants, drug test, chest x-ray, and state board certification. The accelerated nursing assistant program at Western Career Academy may be completed in just 6 weeks. Students spend 5 weeks in the classroom and one week of clinical experience in a long-term care facility. Classes meet Mondays, Wednesdays, and Fridays from 8:00 am to 1:00 pm. An evening schedule is also available. WCA offers exceptional pass rates, state of the art equipment, small class sizes, and moderately paced schedule. The curriculum covers 120 hours of classroom (80 hours) and clinical experience (40 hours). Areas of study include end of life care, basic restorative services, infection control, patient rights and independence, law and ethics, personal care, vital signs, feeding and nutrition, and basic nursing skills. To participate in the clinical experience, students must have BLS/CPR certification, DPS fingerprint clearance, and no outstanding payments. Tuition for the program is $980 and includes uniform top, gait belt, and BP cuff and stethoscope. A flexible biweekly payment plan is available for all students. Registration costs $200. Additional expenses include textbook, CPR and First Aid, and DPS fingerprinting. Adults interested in enrolling in the Nursing Assistant Certificate program at Paradise Valley Community College must register and attend a mandatory information session. The program is a blend of theory and practical instruction to prepare students for success on the state certification exam. The clinical (practical) experience will take place at a skilled care nursing home and acute care hospital. The estimated cost of attendance is $1,421. It includes registration fee, tuition, fingerprint card, CPR, textbooks, urine drug screen, background check, uniform and clinical supplies, and physical exam and immunizations.